I can't help but get all sentimental. 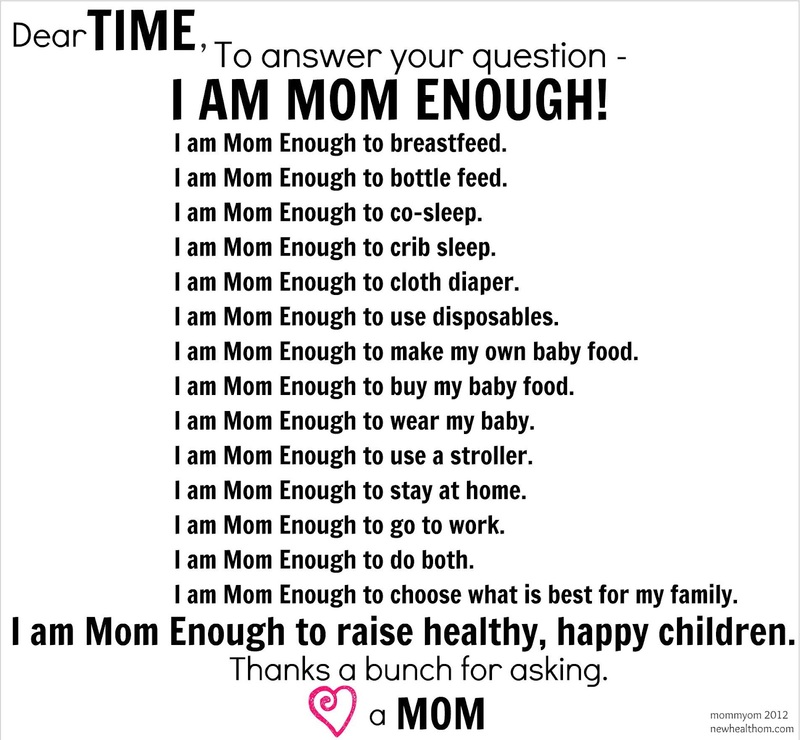 Motherhood has changed me, and anyone for that matter who has ever had a baby. I find that mother's don't always get the credit or attention they deserve. Rather then building each other up, articles like this have us tearing each other apart. I have learned that motherhood is not a one size fits all experience. What works for me, might not work for you...and that's OK.
That's what makes everybody unique. How boring would it be if everyone was raised the exact same way? With that said, I came across this "Dear TIME" letter from mommy blogger over at Mommy Om. It pretty much sums it all up. Take a look for yourself.